Determine your product Glow Wire Flammability Index (GWFI) or confirm compliance with the standards. 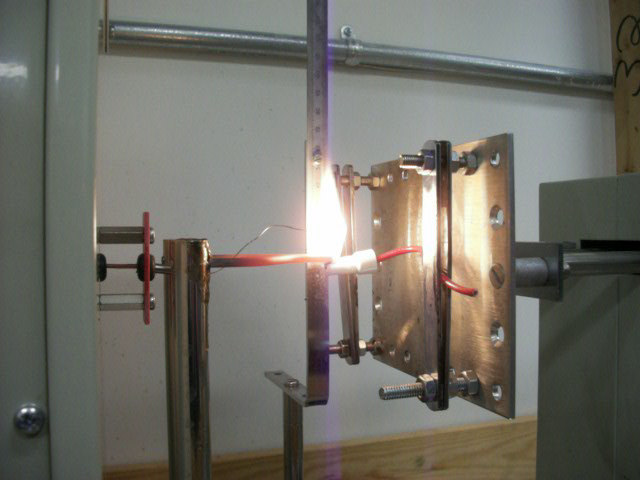 Many standards require that an insulator in contact with current carrying conductors must comply with a Glow Wire Flammability Index (GWFI) as part of the overall product approval. Purchasing vendor rated parts without an agency approval can be somewhat risky especially since the GWFI has many temperature ratings. You could buy a part where the vendor cites a GWFI but fails to note the temperature. Testing may find that your need for a 750 C rated part fails because the component you selected is 550 C.
We can help you determine your needs and provide Glow Wire Testing to give you the assurance.